It’s finally happened… we’ve been waiting aaaages. 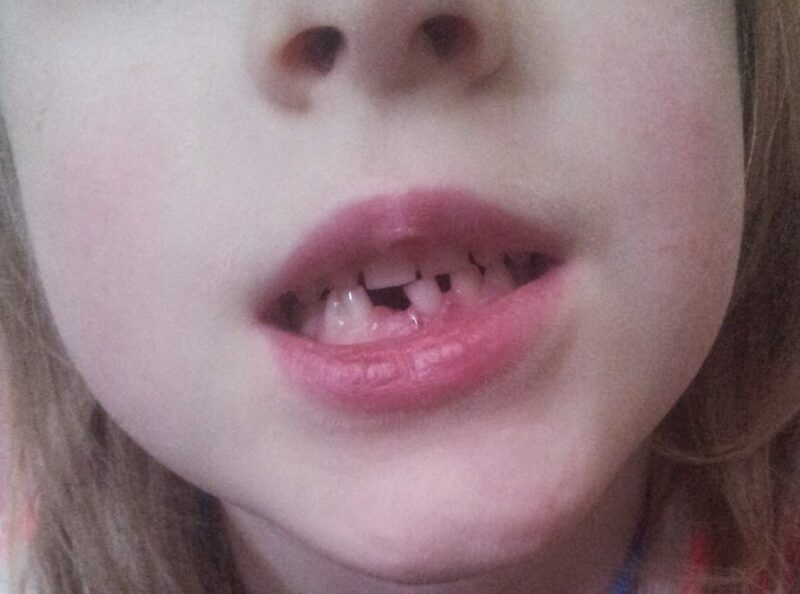 At last, after weeks of wobbling, it’s come out – the first tooth. Already six and one of the oldest in the class, yet one of the last to start losing her baby teeth. It’s made me feel a little sad – she’s growing up – far too quickly if you ask me. But just look at that that little happy, gappy smile. So here I am – with a tooth. I had to ask around for the going Tooth Fairy rate (thanks mums), and it got me thinking of how it was when I was a kid. 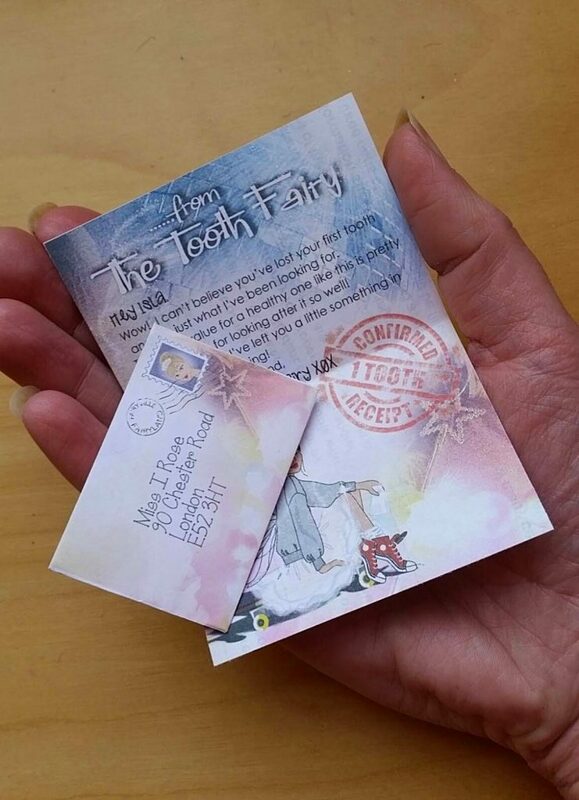 The idea of a fairy taking away my old tooth ….for money, was magic on so many levels. I thought I’d do a little embellishing..the sort of thing I would’ve loved. 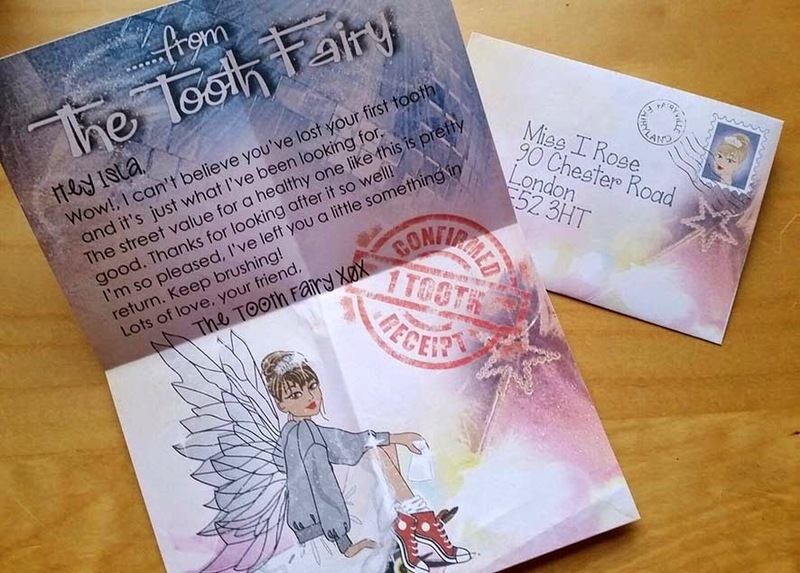 A letter from the Tooth Fairy…a 21st century tooth fairy of course. 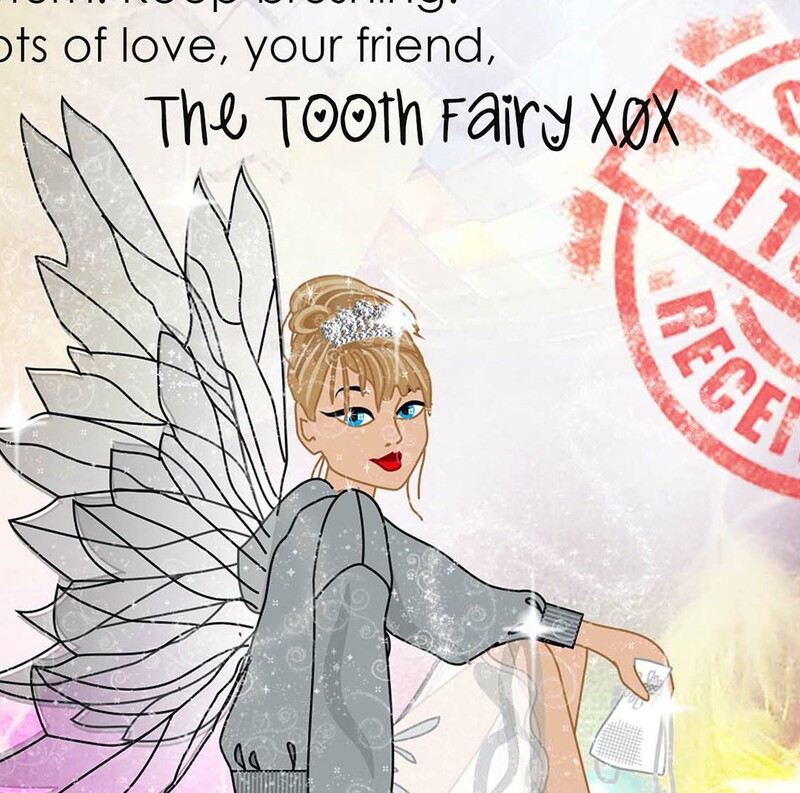 A modern day, urban tooth fairy who likes a bit of skateboarding as much as she likes her glitter. A fairy who’s not really that much into pink and isn’t afraid to get a bit messy sometimes … and I thought it’d be nice to share with anyone else who lost a tooth this weekend. 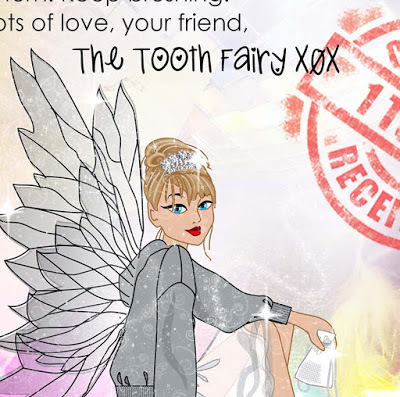 I’ve drawn up and made a little printable – a letter from the Tooth Fairy… complete with envelope. I’ve included pdfs which can be the saved as a an image file and placed it into a program of your choice (e.g. Microsoft Word, Adobe Photoshop, or an online photo editing site). Write your message, print and cut it out, fold and stick where necessary. I’ve provided full instructions on how to add text, plus an example of what the tooth fairy might write – optional of course. You can print it using one of the many quirky, fairy-style fonts out there, or even handwrite it for that lovely personal touch. Blond, brunette – you get to choose. Plus you get to use it again and again – just change the message each time. Easy peasy. Let’s make the most of the magic, eh…. while it’s still around…..it doesn’t last long.